Bat shows moderate use, and is uncracked. Elberfeld played for the New York Highlanders. 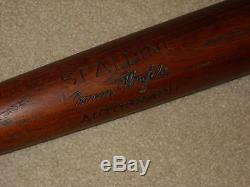 The item "Kid Elberfeld Spalding Vintage Baseball Bat New York Highlanders" is in sale since Friday, February 03, 2017.